Gree Electric Appliances, the world's top air-conditioning company, brings to the market millions of commercial and residential air conditioners used internationally. 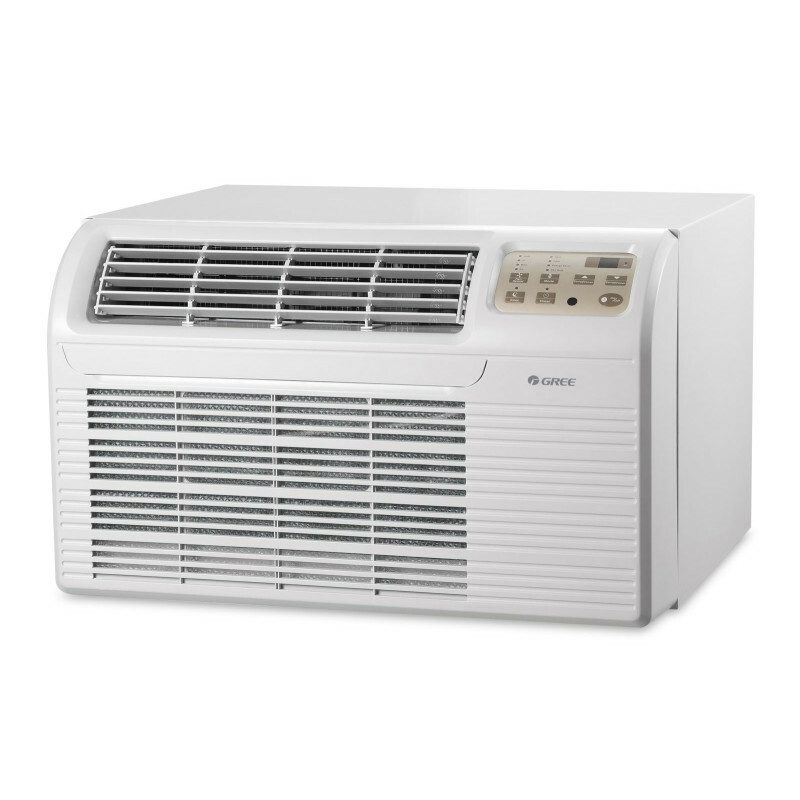 With many years of experience, Gree produces through-the-wall air conditioners that represent the best of the industry. Their 9,000 and 12,000 Btu TTW Air Conditioners with Electric Heat are part of the T2600 line of products, which achieve excellent energy efficiency, comfort and ease of operation, and eco-friendliness. Gree's new and improved E-TAC II has been upgraded to a higher level of energy efficiency, with its Aero-Quiet Fan silencer system with dual motor technology and automatic diagnostic interface. Available with 9,000 Btu and 12,000 Btu options, the smooth-running system allows for the highest level of comfort in any setting, whether it's commercial or residential. The E-TAC II's unique self-fixing diagnostic technology makes it easier for the user as well as the owner. The self-correcting platform adjusts temperatures as necessary, which provides maximum efficiency and lowers utility costs. 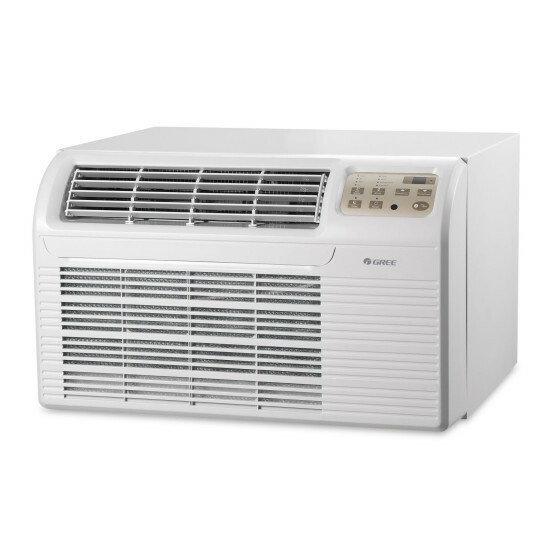 These TTW air conditioners achieve ultra-quiet operation. Dual Motor Technology allows this line to be incredibly quiet, while the Aero-Quiet Indoor Blower Wheel creates near-silent (as well as evenly distributed) airflow. Ease of operation is ensured by the simple digital thermostat touchpad control, and the air filter alarm automatically alerts users when the air filter needs cleaning. Power Failure Recovery also aids in straightforward operation, as it automatically restarts each unit at the correct setting when power is lost and then regained. The neutral, low-profile design of these air conditioners also allows it to fit in with almost any decor, without drawing undue attention (except, of course, to its effective cooling). Demonstrating their certainty that Gree products mean customers will be satisfied with many years of effective, hassle-free air-conditioning, Gree offers a top-of-the-line warranty: a five-year warranty on parts and labor, as well as two years on functional parts.